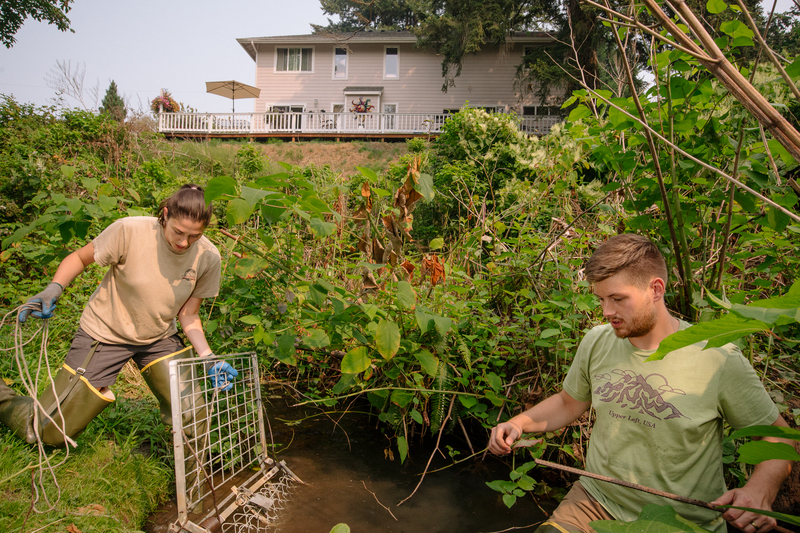 Tulalip tribe wildlife biologist Molly Alves, and assistant biologist, David Bailey, prepared to deploy a beaver trap in a North Seattle suburb. The tribe's wildlife agency is currently the only entity who can legally capture and relocate beavers, and have taken to responding to "nuisance beaver" calls from the Seattle metro area. Normally, "nuisance beavers" would be trapped and destroyed.